Initial's Inc Was Started In 2005 By Two Women Who Had Just Recently Become Mother's! Wanting To Be A Part Of Their New Family & Still Have A Type Of Income, These Woman Brainstormed, Prayed & Got Out The Embroidery Machine! Based In Georgia, This Growing Company & Their Core Message "There's Only One You", Offers Amazing Personalized Products & A Career Opportunity For Every Woman Out There! 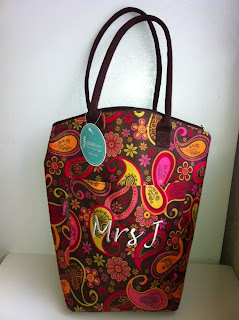 Somehow I Came Across Initial's Inc Online One Day & After Browsing Their Website I Fell In Love! I Knew I Wanted To Find My Local Creative Partner & Host A Party! I Was Connected With Independent Senior Creative Leader Mandy & Had An Amazing Time At My First Initial's Inc Party!! 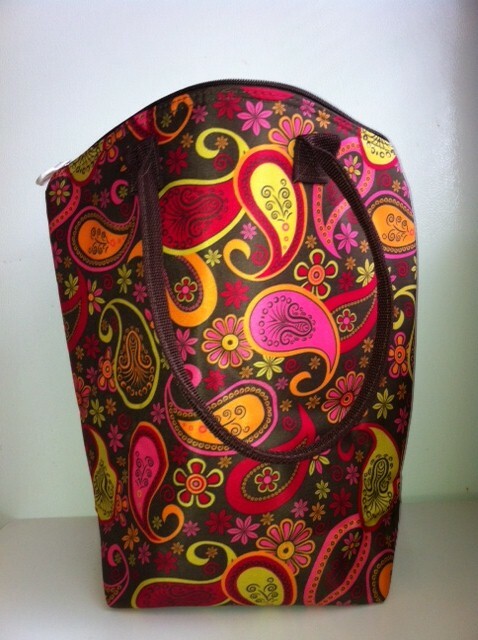 Initial's Inc Products Are Created Beautifully, They Are Durable & All Of Their Items Have Different Styles/Colors! So Just In Case Your Best Friend Has Her Heart Set On The Same SassyBag As You, You Can Choose A Buttoned Up Sash, Snappy Key Fob & Personalization To Add To Your Bag To Create Your Own Look & Style That Suits You! 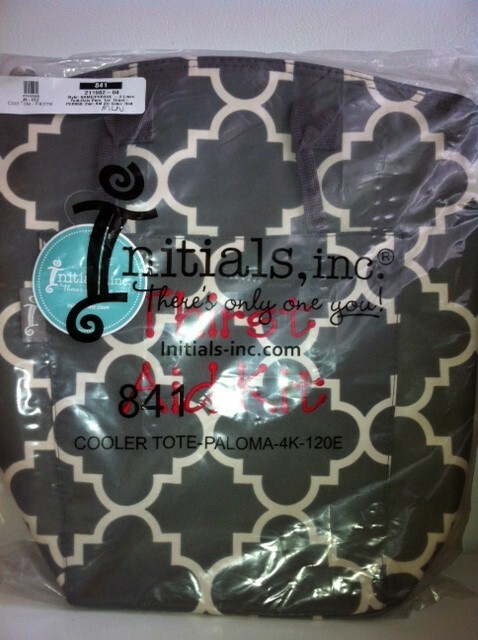 Initial's Inc Has So Many Items To Help Get Your Organized & Make Your Life Easier! The Soho Sling Is One Of My Favorites & Is Great If You Need To Be Hands Free, Grab The Dish For Those Get Together's At Grandma's House & Head Off To The Office In The Modern Woman (Which Has Everything)! Be Sure To Browse The Catalog For More Amazing Products & Styles! 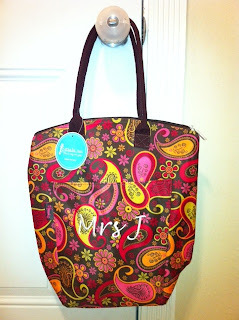 Mandy Was So Generous & Donated An Initial's Inc Cool Tote To Me & I Have Used It Almost Every Single Day Since It Has Arrived! 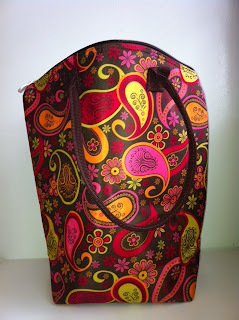 Not Only Am I In Love With The Cool Tote In Paisley Pop But How Spacious It Is On The Inside! 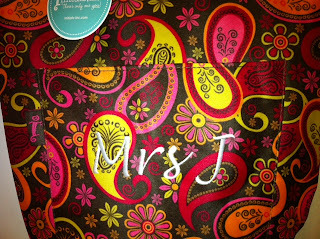 Oh & Did You Notice The Beautiful Personalization On The Front Pocket?! We Were Headed Out To Grill At Grandma's, So I Threw A Few Things In My Cool Tote That I Knew Needed To Stay Cool On The Trip! I Also Use My Cool Tote At The Grocery Store, It's Great For Frozen & Cold Foods! Interested In More Information About Initial's Inc? Host A Party Or Find Out How You Can Join The Team! Buy It: Purchase Your Own Items Online & As Always-Receive Free Personalization! Win It: One Lucky Reader Will Win The Initial's Cool Tote "Thirst Aid Kit" In Paloma Generously Donated By Mandy! 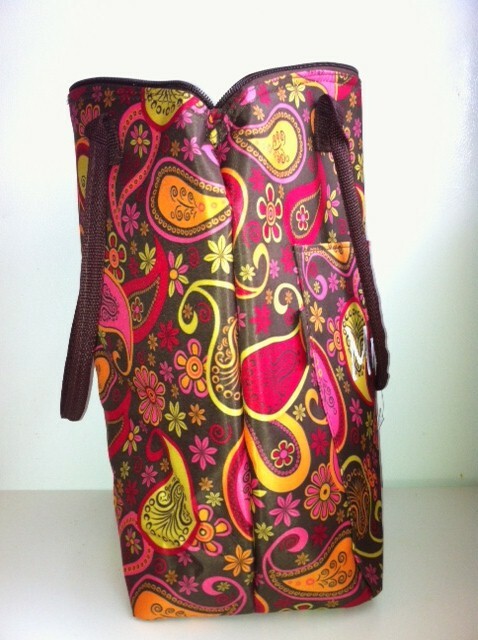 I love all the bright colors, I would love to own the City Tote in the Scarlett color with the Girl Font and a Travel Wallet to match! 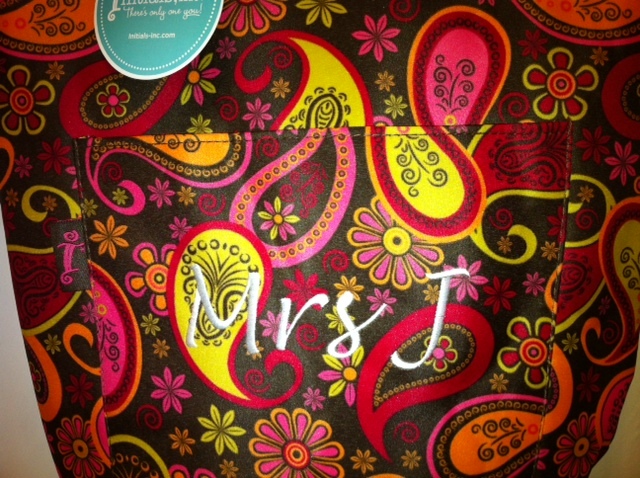 I love the e-reader pouch and the sports duffle in butterfly! Too cute! !